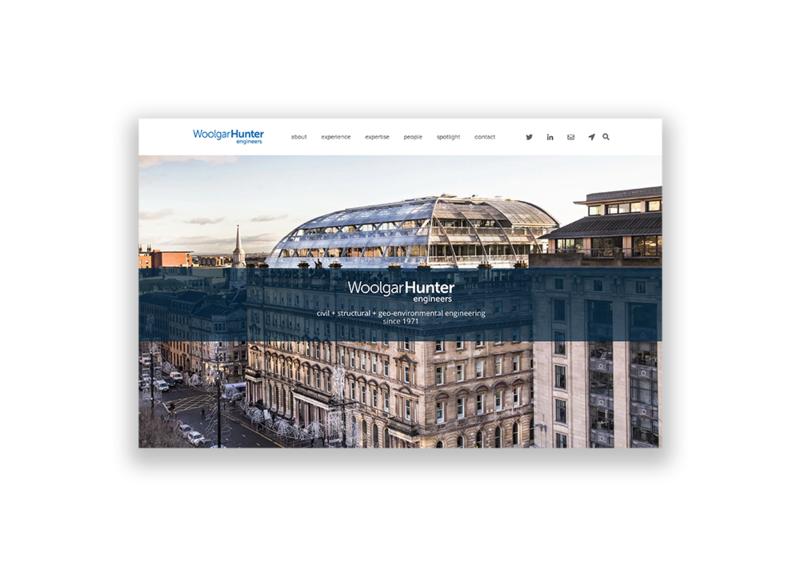 Woolgar Hunter is an award-winning engineering consultancy based in Glasgow. 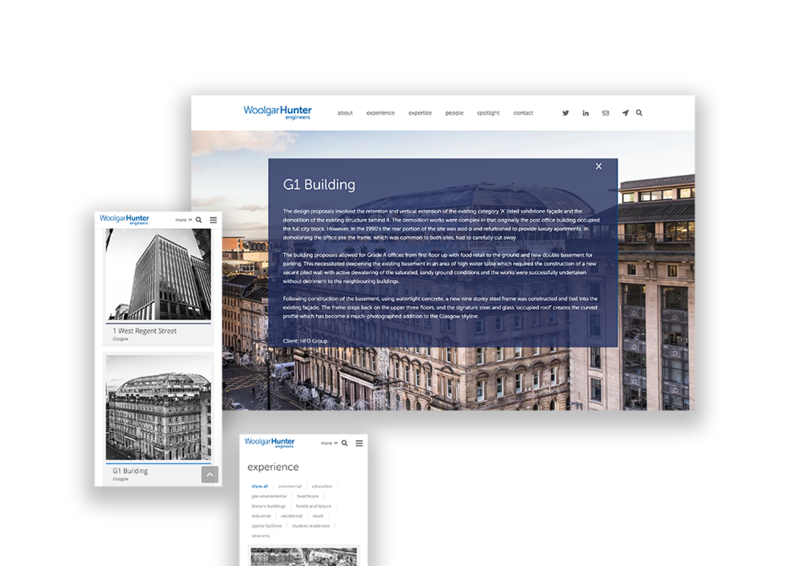 Having worked on recognisable architecture around the UK they came to us with the need for their online image to match their reputation in consultancy. 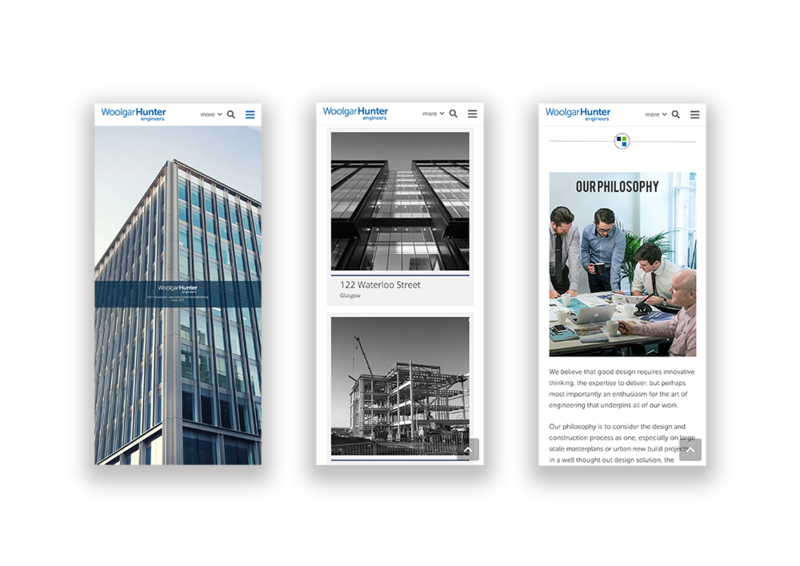 We designed Woolgar Hunter’s website to reflect the companies position as an authority within the engineering consulting sector. 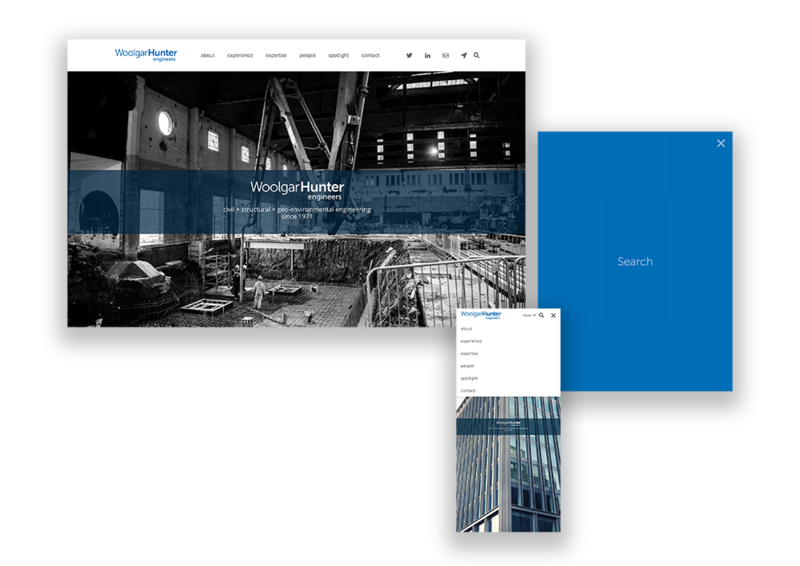 We work with their internal designer who helped articulate service icons which compliment the strong Woolgar Hunter brand. 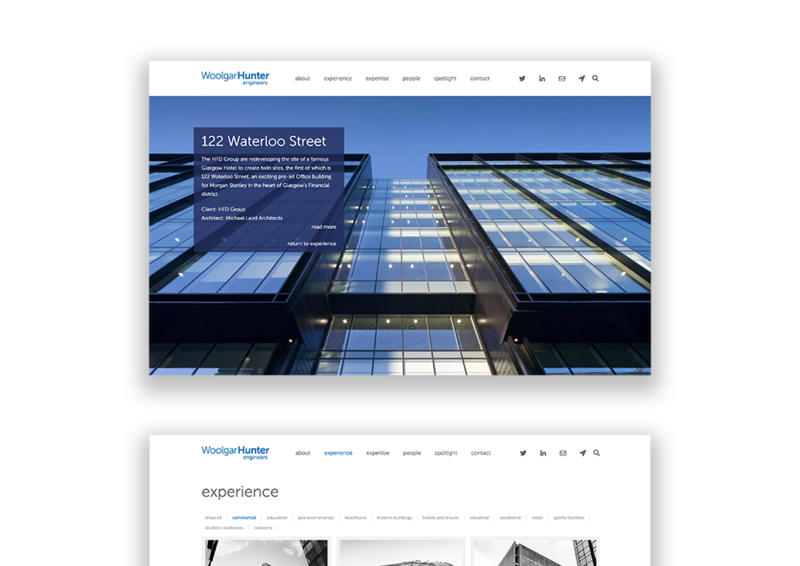 Motion and animation play key roles in Woolgar Hunter’s website. 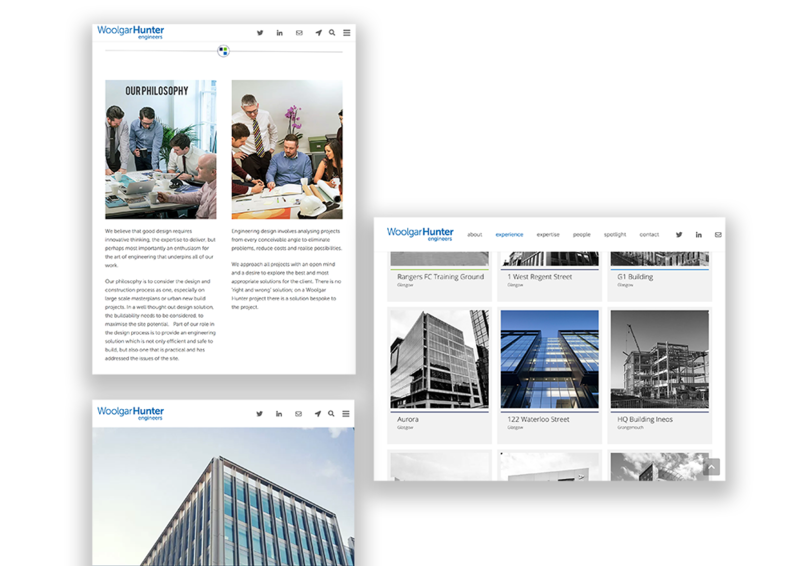 We utilised functional animation to give the web design a deeper and dynamic feel that creates an elegant and professional user experience. 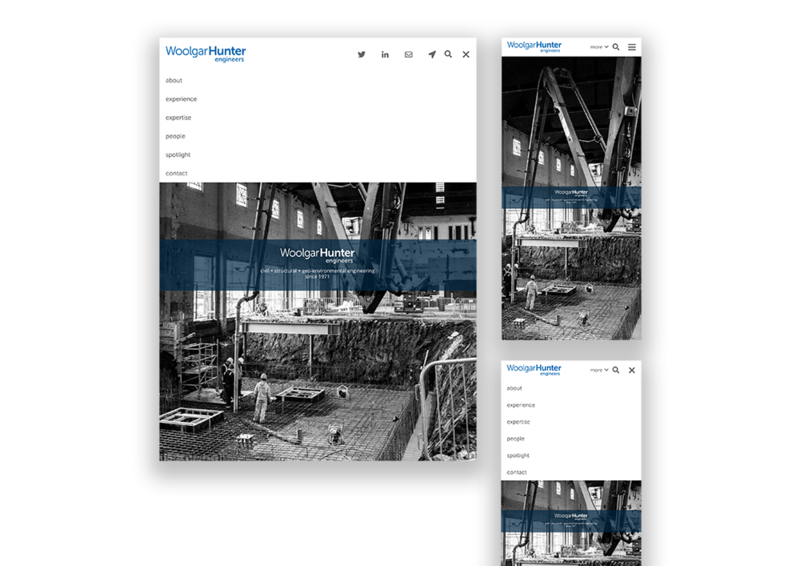 Woolgar’s Website is responsive and adapts to various device sizes. An important factor for modern websites. The website leverages WordPress as it’s content management system which allows their marketing team to easily publish content.